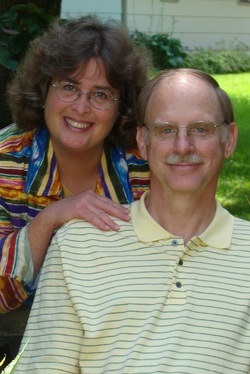 The diagnosis of my husband’s lung and liver cancer was a complete shock to our family. 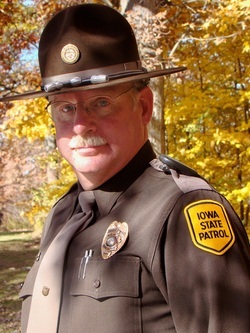 He had been a state trooper in Johnson County for 27 years, was healthy, never smoked, and was only 56 years old. We battled his cancer for 9 months through 11 rounds of chemo at the University of Iowa Hospital. When we found out his body couldn’t take any more treatments, that we should consider Hospice help, and that our allotted days of insurance coverage for hospitalization were ending, we were faced with where to move him. We signed up with a local hospice agency and thought about bringing Gary home to die, but we didn’t have extended family in the area to help us and we were unsure about creating those memories for our children. I asked if we could move Gary to the hospice wing at Mercy Hospital but he didn’t qualify since he wasn’t considered “acute care or respite care” and furthermore the hospitals don’t share patients needing comfort or palliative care. The hospital social worker checked for available beds at area nursing homes. Nursing homes of choice have waiting lists and often don’t have openings when you need one. We were thankful to find an opening down in Kalona but that meant taking him out of town to die and having to drive back and forth. We moved Gary by ambulance to Kalona on Good Friday afternoon and he died on Easter morning, April 4, 2010 at the age of 57. Any of us at any time could be faced with the need for a residential care setting for ourselves or our loved ones. Our family found out that our options were to either take him home to die or to move him to a nursing home setting. Other residential options don’t exist here in Iowa City and the closest Hospice House is 35 miles away in Hiawatha. I never would have imagined that I would become involved in building a hospice home, but it is long overdue and needed. Most people assume Iowa City already has end-of-life care options in place since we are known as being a medical community. Iowa City needs a place where families can be together 24/7 with their loved ones in a supportive home-like environment. I am hopeful that our family’s experience can help to make a positive difference for others. If we work together as a community we can build a hospice home and provide better options for end-of-life care for patients and their families. We can make it happen.